Shark soup is clearly one of the drivers of shark mortality. A 2006 study estimated that between 26-73 million sharks were killed each year to supply the shark fin trade in Hong Kong. While shark fin soup is very popular in Asia, it is also available in your country. It is served at your local Chinese restaurant, and you can have it delivered to your door. Do you like eating sushi? 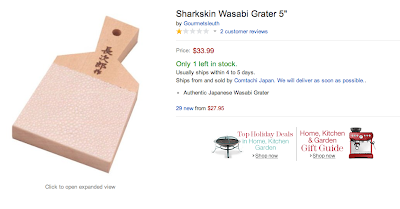 The best wasabi graters are made with sharkskin. Chances are your local restaurant is using something squeezed out of a tube, but you might want to check. 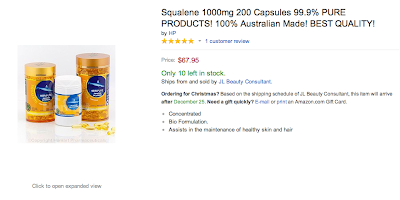 Squalene pills are made from processed shark livers. The makers claim they have some kind of health benefit. Squalene can also be made from olives. One wonders why you would use shark livers when you can use olives? 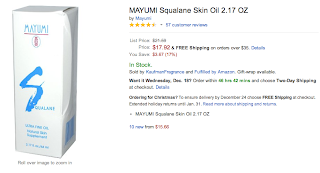 Squalene is used to make squalane, which is used in cosmetics, especially in Japan.